by Colin Fox, SSP national co-spokesperson Activists from across the world will join together in co-ordinated protests in their capital cities to highlight the 20th UN Framework Convention on Climate Change in Paris next month. Stop Climate Change Scotland will lead the march through Edinburgh on Saturday 28 November to draw attention to the UN’s deliberations. And well they might for the representatives gathered in the Parc des Expositions, Le Bourget, Paris have a miserable record in addressing the issue in any meaningful way. Naomi Klein’s latest book This Changes Everything outlines their dismal record since these Conventions began in 1995. Hamstrung by climate change deniers, right wing governments and big business backsliders, the optimism of climate change activists is repeatedly crushed by the emptiness of ‘binding’ Treaties. “Climate change has become an existential crisis for the human species,” she insists. Why such an apocalyptic conclusion? Because the scientific consensus reached grave conclusions about climate change long ago. Climate change is an important issue for the left because the science reveals an enormous challenge. 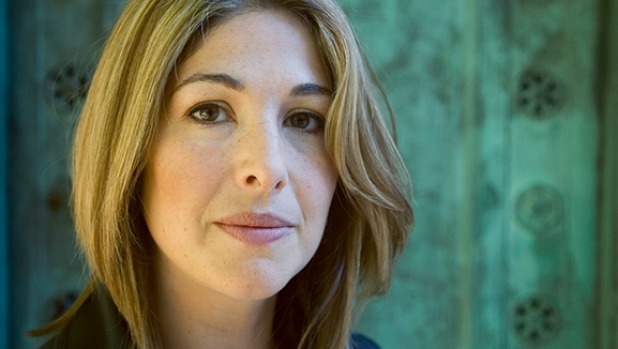 Moreover as Naomi Klein rightly points out capitalism simply cannot solve it. And the overwhelmingly middle class protest groups are fatally compromised by their touching faith in mainstream politicians and their own material attachment to comfortable corporate capitalism. Klein’s frustrations are manifest. “And yet rather than responding with alarm and doing everything in our power to change course, large parts of humanity are, quite consciously, continuing down the same road. What is wrong with us?” she asks. Who then is standing in the way of solutions? The multinational coal, oil and gas lobby in the US, China, Australia and Russia to name but four of the most powerful. The US generates 29 per cent of its electricity from coal the worst CO2 emitter there is. Global emissions rose 5.9 per cent in 2010 the year of the much-hyped UN climate change conference in Copenhagen, the highest annual increase since the industrial revolution. Big business continues to spew out Carbon Dioxide, Nitrous Oxide and Methane in greater and greater quantities defying all the climatologists evidence. Climate change is a class issue and so is its solution. It is the poor the world over who suffer most from its devastating impact. Poor countries and poor people in rich countries need protection now. SSP activists should make every effort to join with thousands of others on the protest in Edinburgh on November 28 and begin to push the climate change movement in Scotland left.